Jorge Otero-Pailos was awarded the 2010-2011 Kress Mid-Career Grant in support of his project Historic Preservation Theory: A Reader, a comprehensive anthology that will introduce preservationists in the United States to seminal texts on preservation theory from a global perspective. The book will include key European texts reaching back to the 18th century, as well texts from Eastern Europe, Latin America, Asia and Africa. Many of these works will be made available in English for the first time and all will broaden our understanding of how contemporary preservation has emerged. These key texts cover a range of preservation issues including spolia, style, memory, nature and more. This anthology will enrich the study and teaching of historic preservation theory and practice, and because of the topics covered will also be of great interest to art and architectural historians, archaeologists, and other practitioners here in the United States and abroad. 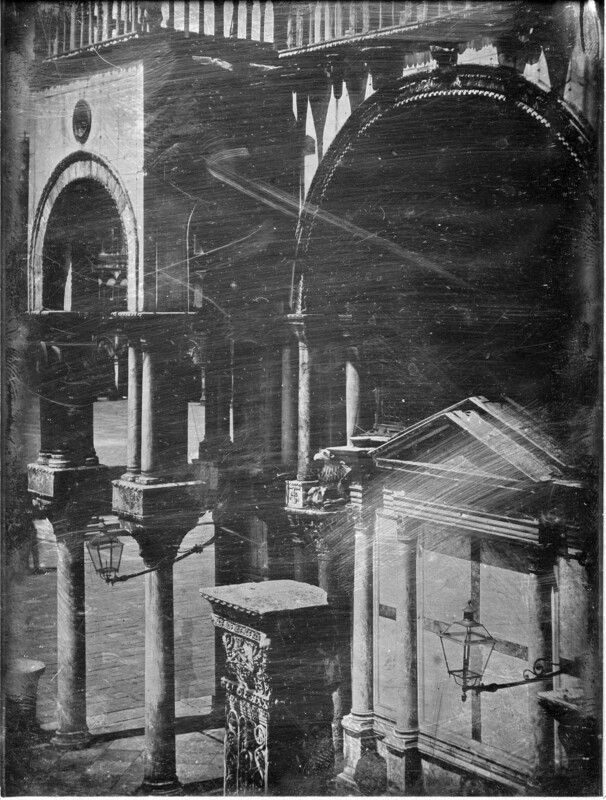 Venice, Southern Portico of the Basilica of St. Mark, View from the Loggia of the Ducal Palace,” daguerrotype by John Ruskin George Hobbs (1842). Courtesy of the Ruskin Foundation (Ruskin Library, Lancaster University).